This summer, Ryan Murphy and the American Horror Story team return for a third season. Since the Asylum story arc wrapped, there has been plenty of fan art created and fan speculation as to where season three will turn. My money has always been on witchcraft and Dylan McDermott apparently confirmed that at a recent event in Los Angeles. 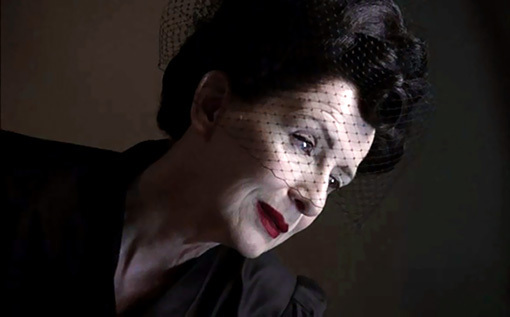 What we do know for sure is that many cast members are returning, including Frances Conroy. ShockTillYouDrop.com spoke with the actress earlier today about season three. Jessica Lange, Taissa Farmiga, Sarah Paulson, Evan Peters and Lily Rabe will all return. Kathy Bates is also set to co-star.